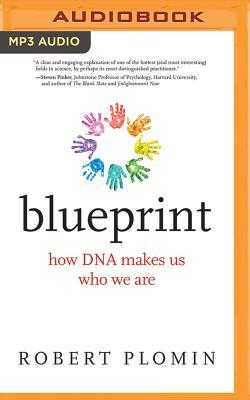 In Blueprint, behavioral geneticist Robert Plomin describes how the DNA revolution has made DNA personal by giving us the power to predict our psychological strengths and weaknesses from birth. A century of genetic research shows that DNA differences inherited from our parents are the consistent life-long sources of our psychological individuality―the blueprint that makes us who we are. This, says Plomin, is a game-changer. It calls for a radical rethinking of what makes us who were are. Plomin has been working on these issues for almost fifty years, conducting longitudinal studies of twins and adoptees. He reports that genetics explains more of the psychological differences among people than all other factors combined. Genetics accounts for fifty percent of psychological differences―not just mental health and school achievement, but all psychological traits, from personality to intellectual abilities. Nature defeats nurture by a landslide.